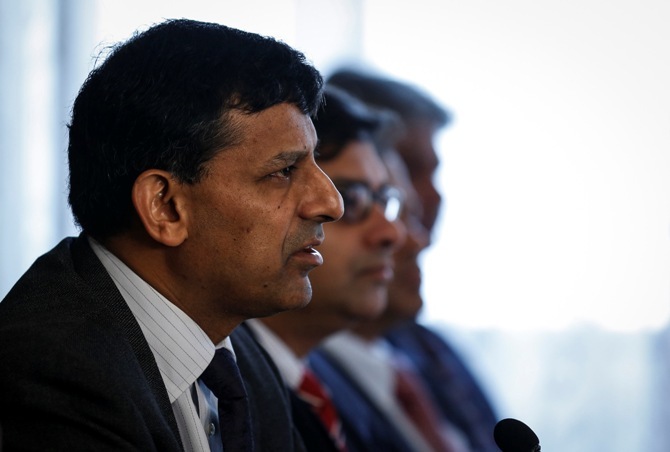 Hailed as a troubleshooting ‘James Bond’ of central bankers amid India's currency crisis last year, Raghuram Rajan was given a licence to kill inflation with higher interest rates and drive a programme of monetary policy reforms. Now, the governor of the Reserve Bank of India may need all the suave charm of the fictional British spy to sell that same hard-nosed agenda to a powerful new prime minister who is determined to revive economic growth and create jobs. Rajan, who calls high inflation a ‘dangerous disease’, won plaudits after he took office in September for arresting a rupee freefall and helping restore investor confidence that had all but evaporated under a lame-duck government led by the Congress party. Image: Reserve Bank of India Governor Raghuram Rajan. The decisive election win by the pro-growth Bharatiya Janata Party shifts the power dynamics. Now, investors and voters are looking to Prime Minister Narendra Modi to stir India's economy from its prolonged torpor, putting Rajan and Modi on a collision course if inflation stays high. In his first months on the job, Rajan overcame push-back from within the central bank as well as the finance ministry to shift the benchmark inflation measure from wholesale to consumer prices. The consumer price index is the global standard, but in India the higher level of CPI meant Rajan was likely to keep rates tighter for longer. 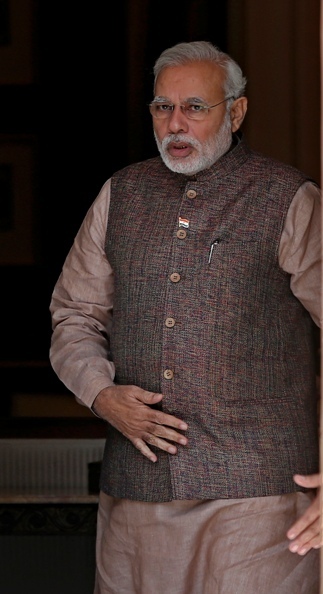 Image: Prime Minister Narendra Modi. High interest rates make credit more expensive and create a difficult environment to re-ignite growth. But if, as many expect under Modi, the investment climate improves and government expenses are managed better, Rajan might get some relief on the inflation front. Investors expect Modi to bring down inflation by cutting subsidies, improving food distribution and promoting investment in infrastructure. "The Modi-Rajan equation reminds us of that between Volcker and Reagan, where it was a combination of the central banker's inflation-fighting cred and the latter's charismatic image," said Philippe Jauer, chief investment officer at fund manager Amundi Singapore. 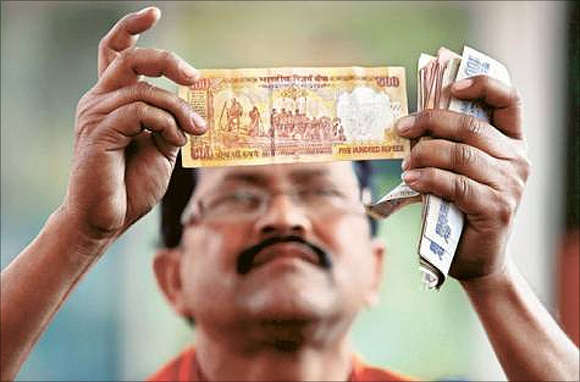 Image: The Reserve Bank of India. Paul Volcker was head of the US Federal Reserve when Ronald Reagan was president in the 1980s. 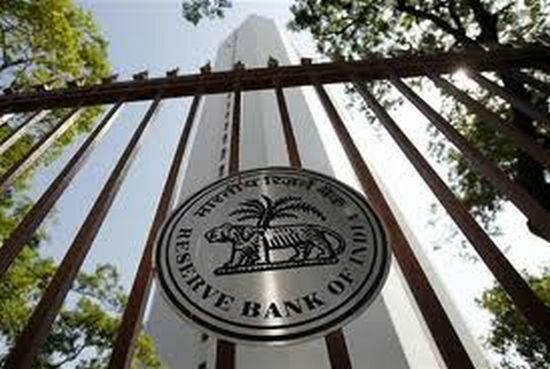 For now, the RBI is expected to leave interest rates on hold at its policy review on Tuesday, but investors will be scouring Rajan's accompanying statement for clues to whether the new government's strong electoral mandate has changed his rate outlook. Investors expect the next policy move will be a rate cut, but perhaps not before early next year. A professor at the University of Chicago and former chief economist at the International Monetary Fund, Rajan was brought back to India in 2012 to be chief adviser to then-finance minister P Chidambaram of the Congress party, which meant the two already had a working relationship when Rajan took over at the RBI. After stunning the markets with a series of bold measures on his first day, he was dubbed variously by the Indian media as ‘The Guv’ and ‘a rock star banker’. Image: For now, the RBI is expected to leave interest rates on hold. The ‘Name's Rajan, game's Bond,’ the Economic Times daily gushed on its front page, with a photo-edited picture of Rajan in an action pose and brandishing James Bond's trademark Beretta pistol, albeit one made of rupee notes. Rajan, 51, has proven to be a pragmatic -- if not swashbuckling -- operator at the RBI, pushing to streamline a staid institution, deepen markets, and reform policymaking to control the country's grinding inflation. Rajan and the new finance minister, Arun Jaitley, 62, a prominent corporate lawyer, held a meeting in New Delhi on Tuesday, but have not previously worked together. Jaitley is not seen to be as hawkish as Rajan on inflation -- a dynamic that is typical between central bankers and governments around the world and often leads to tension. Image: RBI Governor Raghuram Rajan. One senior finance ministry official who worked with Rajan and was part of the team that made a presentation this week to Jaitley said Rajan's initiative to set an inflation target based on CPI could create conflict if, as many expect, CPI rises in coming months. "Rajan is . . . making things difficult for the government by publicly speaking about RBI's stance on the CPI inflation. “He would not find it easy to backtrack even if he wants to adjust with the new government," the official said. The shift would give the central bank a clear price-stability mandate and make fighting inflation its chief objective. 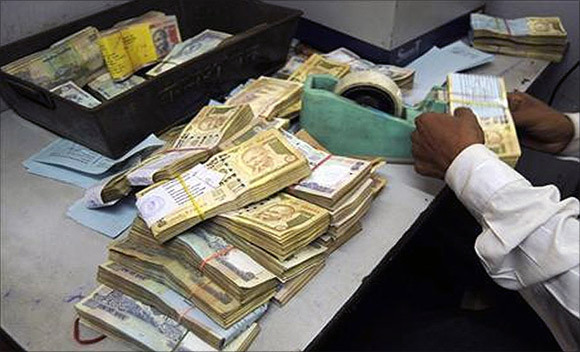 Previously, the RBI was charged with promoting growth and financial stability as well as controlling inflation. 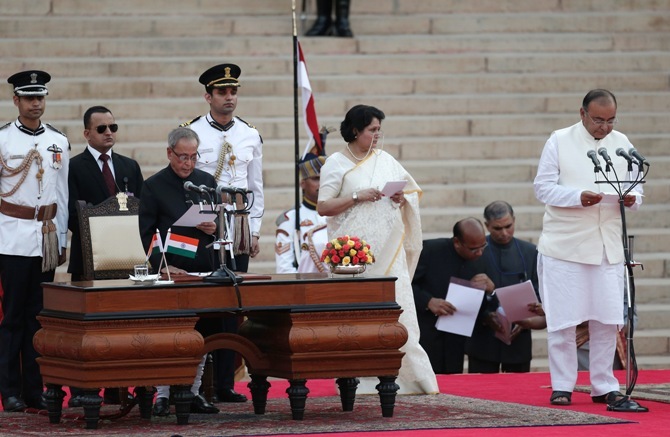 Image: President Pranab Mukherjee (3rd L) administers the oath of office to Arun Jaitley (R) as a Cabinet minister at the Rashtrapati Bhavan in New Delhi May 26, 2014. Getting the new government's support for inflation targeting is far from a done deal. Rajan has done what he can to set an informal target by establishing a ‘glide path’ to get CPI inflation down to an annual 6 per cent by January 2016 and 4 per cent, plus or minus 2 percentage points, a year later. CPI inflation was at 8.59 per cent in April year-on-year after running near or above 10 per cent for almost two years through the end of 2013. "Inflation targeting will require trying to convince the government, and I think it won't necessarily be a bed of roses. “But I think it is a right step," said Rajeev Malik, senior economist at CLSA in Singapore. 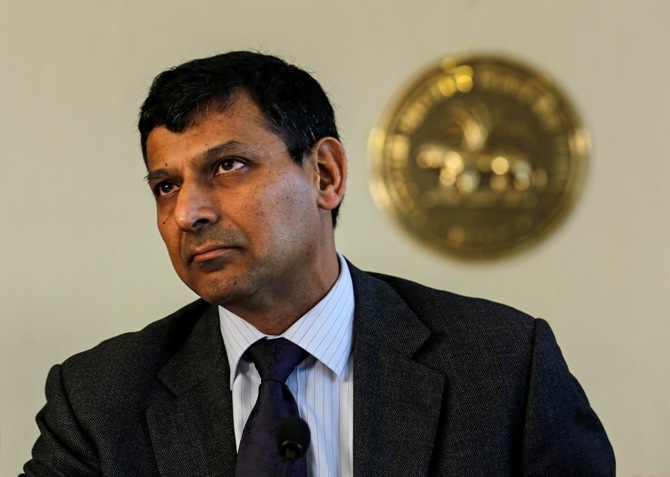 Inflation targeting and setting up a monetary policy committee -- as Rajan proposes -- both require legislative changes. Image: Inflation targeting and setting up a monetary policy committee -- as Rajan proposes -- both require legislative changes. Agreeing on the make-up of a committee, including whether the government would appoint members and who they might be, could prove contentious. 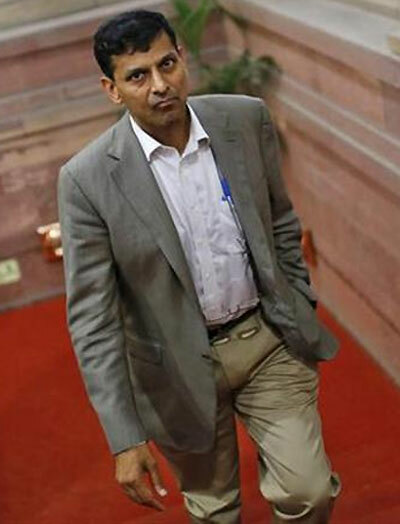 Rajan recently softened his tone, noting that inflation targets are for the medium term and are flexible, and that the proposal does not aim to turn the RBI into ‘inflation nutters’. However, he was uncharacteristically blunt on the subject of RBI independence in other recent remarks. "I am happy to talk to the government, I am happy to listen to the government, but ultimately the interest rate that is set is set by me," he said at an event in St. Gallen, Switzerland. "The government can fire me, but the government does not set monetary policy." On Friday, Rajan struck a measured tone during remarks in Tokyo, which sent Indian bond yields to a four-month low. "The government and the central bank have both stressed the need to emphasise the need to bring down inflation, while respecting the fact that growth is very weak. You need to ensure through a variety of means we sustain the growth process," he said. Image: Rajan recently softened his tone, noting that inflation targets are for the medium term and are flexible.